A full pedestal basin is the classic choice for bathrooms, and at VictoriaPlum.com we have a huge range of styles and designs available to suit almost any taste. This guide will give you an overview of the full pedestal basins on offer, and what you should consider when choosing one. What is a full pedestal basin? This is the classic style of basin that most of us would picture when imagining a bathroom suite. The basin is supported by a pedestal that reaches all the way to the floor, providing a stable fixing as well as hiding all the pipework. It is secured to the floor as well as the wall, so the pedestal isn’t actually taking the full weight of the basin. If you’re designing a sleek and modern bathroom, you are spoilt for choice when it comes to pedestal basins. You could go for something minimalist like the Arte Basin and Pedestal, perfect when paired with a gorgeous waterfall mixer tap. For a practical family bathroom, the Oakley Basin and Full Pedestal is an ideal choice, with rounded edges and a simple, stylish design. There are also options for two tap holes, as well as different size basins to suit your bathroom. A full pedestal basin is a great choice for a traditional bathroom, as this classic shape really lends itself to period styles. The Winchester is a beautiful traditional basin, evoking a Victorian look and feel with decorative mouldings and an elegant square pedestal. For a slightly more understated traditional look, the Camberley Basin and Pedestal makes a chic and stylish addition, with a single tap hole for modern mixer functionality while retaining a classic look. 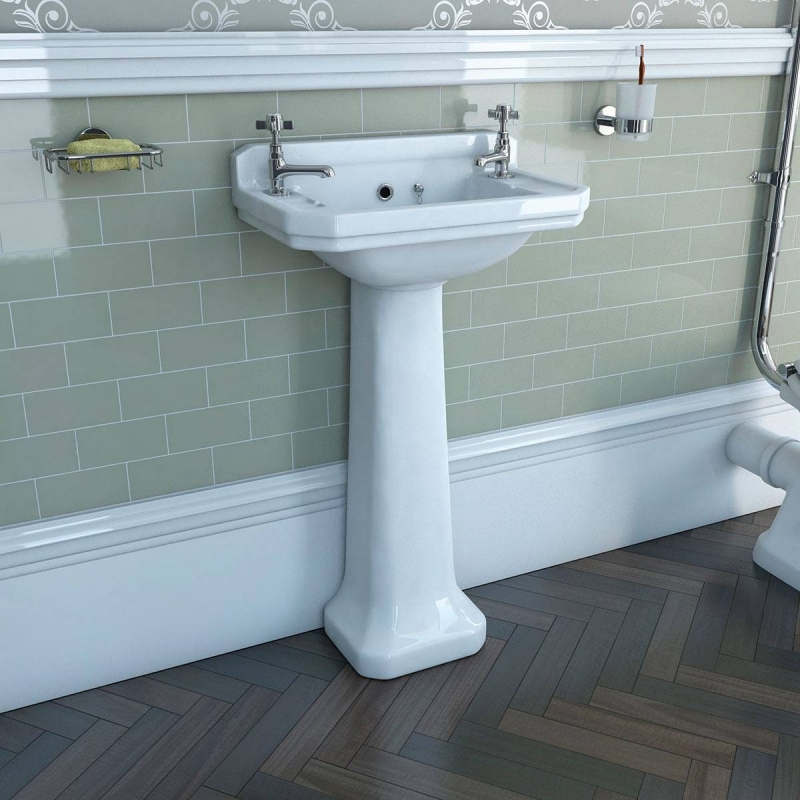 If you’re fitting a cloakroom or an ensuite, there is a selection of basins specifically designed to be smaller and more space-efficient, in both traditional and contemporary styles. There’s the Camberley Cloakroom Basin for that Victorian feel, or the Palm Corner Basin, ideal for making the most of any contemporary space. Is a full pedestal basin right for my bathroom? 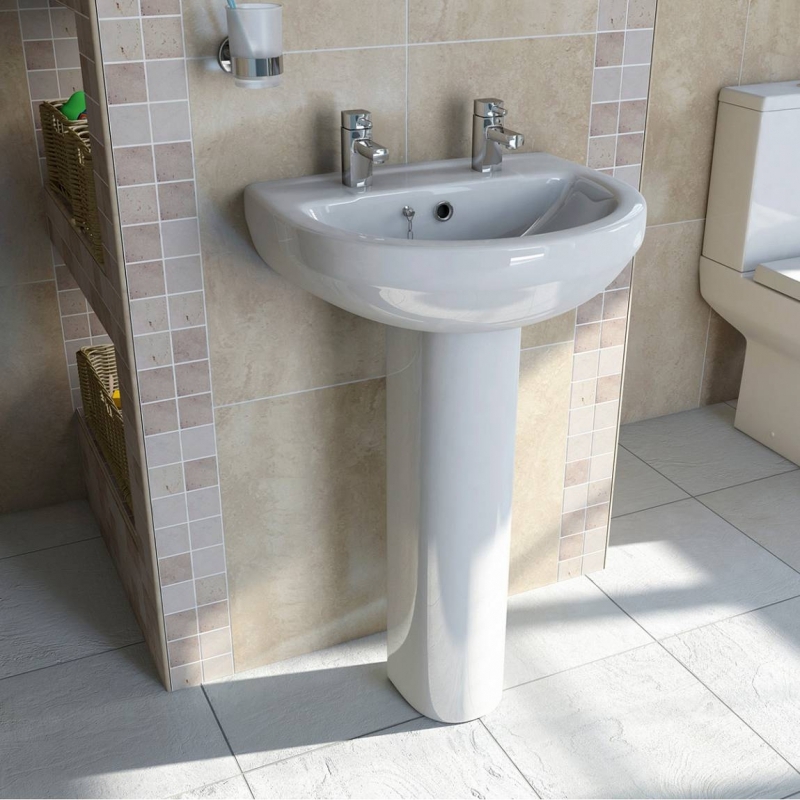 A full pedestal basin is a popular choice for many modern bathrooms, and can suit a wide range of layouts and spaces. As with any bathroom fittings, you should measure your space before choosing a basin to see how much room you have to play with. This also makes it easier when it comes to figuring out what choice of basins is available to you. 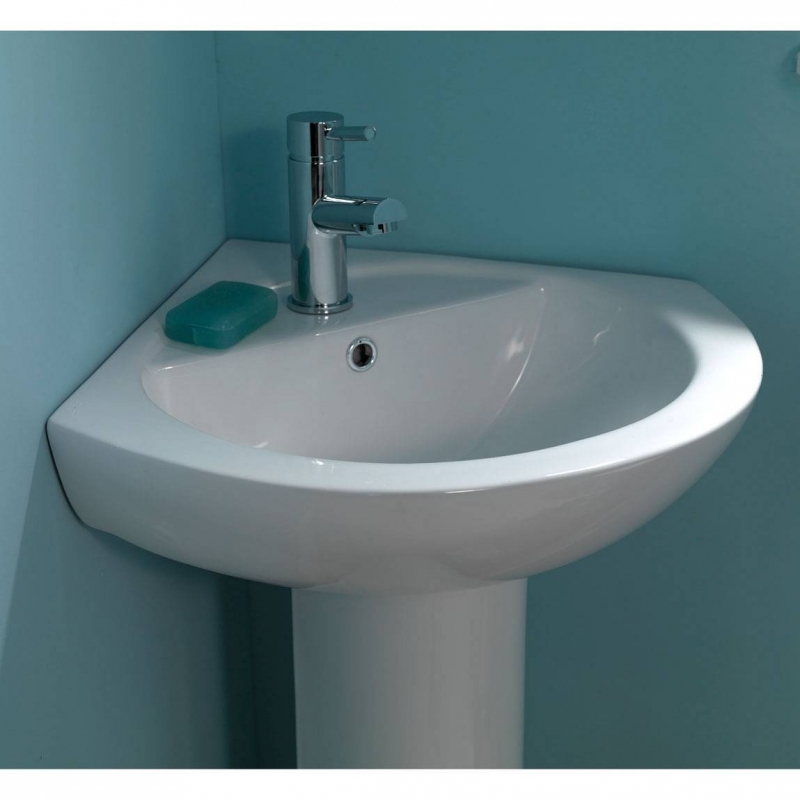 Full pedestal basins tend to be among the largest basin designs, so if you’re shopping for a smaller ensuite or cloakroom, you may have more choice with a semi pedestal basin or a wall hung basin.